Children engage in activities in the language and literacy room, the fine motor/constructive play room, the sensory room, and the gross motor room. Activities often include specific toys that will elicit the targeted skill (e.g. saying, "I don't like that" when a friend takes a toy they were playing with). The children will have the opportunity to use the skill in a small group setting - having numerous opportunities to use the targeted skill. Groups are designed for children ages 3 through 6 years old – this includes all children –typically developing children and children with needs (speech, language, fine motor, gross motor, or cognitive delays). Groups are facilitated by a speech-language pathologist and an occupational therapist. Often, we have additional therapists, such as a music therapist, but may have group assistants. We have a 1:4 adult/child ratio. ​The total cost for the 8 week spring session is $360. The total cost for the 10 week summer session is $450. Missed classes are not reimbursed. Once classes begin, refunds are not issued. Gluten and casein free snacks are provided and dietary restrictions are honored. 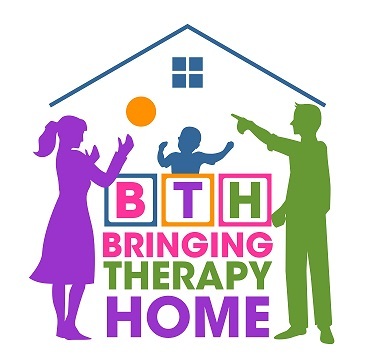 If this is your child's first group at Bringing Therapy Home, you will be contacted by one of the facilitators to discuss your child’s strengths and specific needs of your child. This information will be utilized to plan and develop the activities used for the group sessions. You do not need to receive current services from Bringing Therapy Home to register for the group classes. Group classes are open to the community.